When our October session sold out in less than a week, I immediately began getting distressed emails from parents who wanted their child to be able to participate. 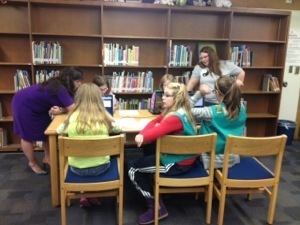 One requested a special session for her daughter’s Girl Scout troop, so we had recruited a few mentors for those 10 girls at Tomahawk Elementary’s school library. Because the girls had very little experience with computers, we chose to get them started with HTML basics from code academy, so the ones who caught on quicker could move at their own pace, and mentors could spend more time with the girls who needed more help. We had so much fun, and my daughter has already logged on to code again! That’s how she saw this post about their educational session. 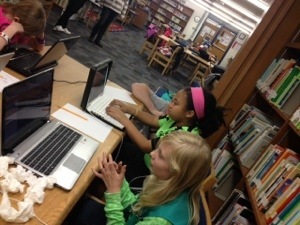 Thanks for sparking these girls’ interest in technology! What a great night we had. It was great to see the girls have so much fun. 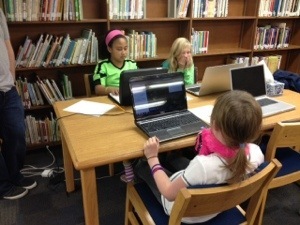 They need to make CoderDojo Girl scout badges!